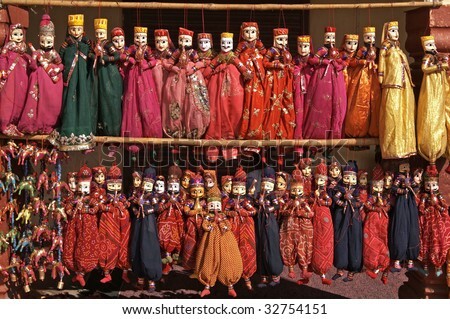 Jaipur, the Pink City, has got different shades. It’s peaceful, beautiful, and full of life at the same time. Living in Jaipur has its charm. You can revisit history by spending time at forts and palaces, give a treat to your taste buds as there’s no shortage of places that serve good food, shop for handicrafts without actually splurging, and have a great time with friends and family at lavish bars and restaurants. To those who aren’t a local, we insist that you visit the city and spend at least a couple of days enjoying Rajasthani hospitality. 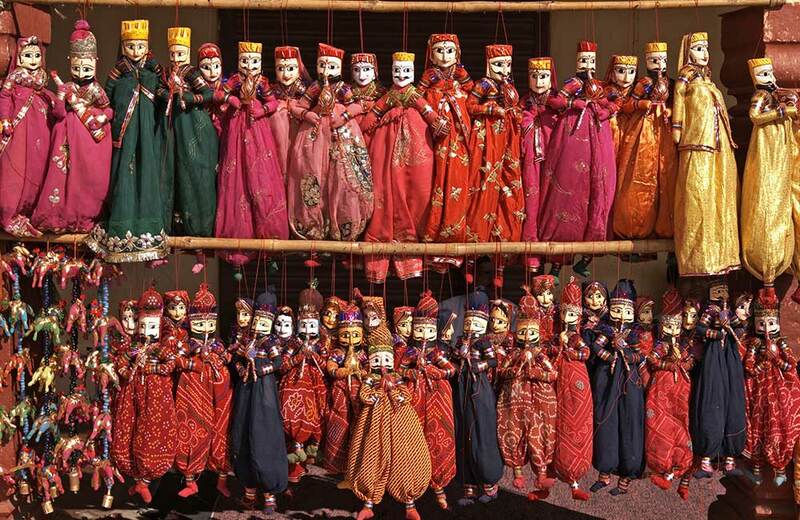 And, while you are in the city, here’s our list of things to do in Jaipur at night. 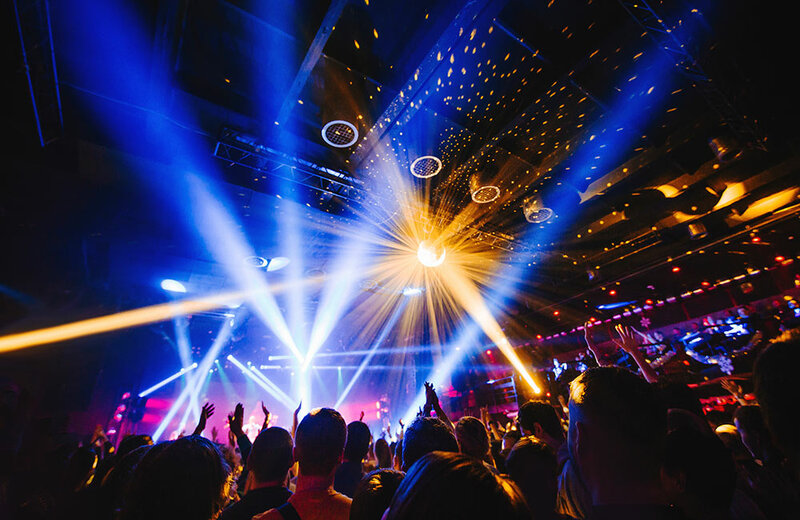 The experience will remain in your mind and heart forever. Also called Amer Fort, this magnificent structure was built in 16th century by Maan Singh, a trusted general of Akbar. 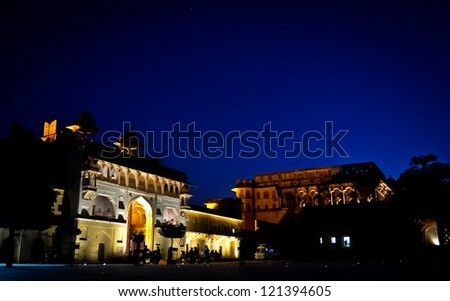 Though Amber fort remains abuzz with tourists the entire day, the feel is entirely different at night. With dawn, the fort lightens up and is a sight to behold. A 50-minute sound and light show is the main attraction during the evening hours. 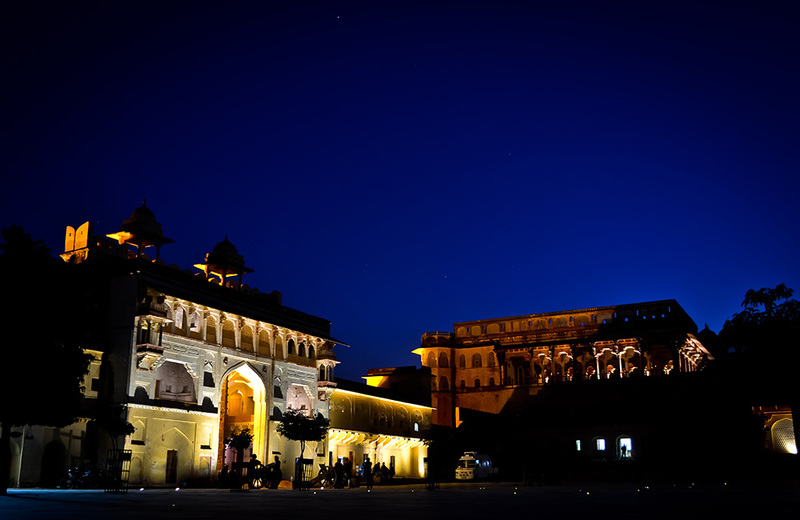 We recommend visiting the fort on a full moon night when a Kathak performance is held at the Diwan-e-Khaas. A visit to Amer Fort is incomplete without dining at one of the most romantic restaurants in Jaipur. Located on one of the highest levels of the fort, 1135 AD offers spectacular views of the city. You get the option to sit in the main dining room or enjoy candlelit dinner on their terrace. 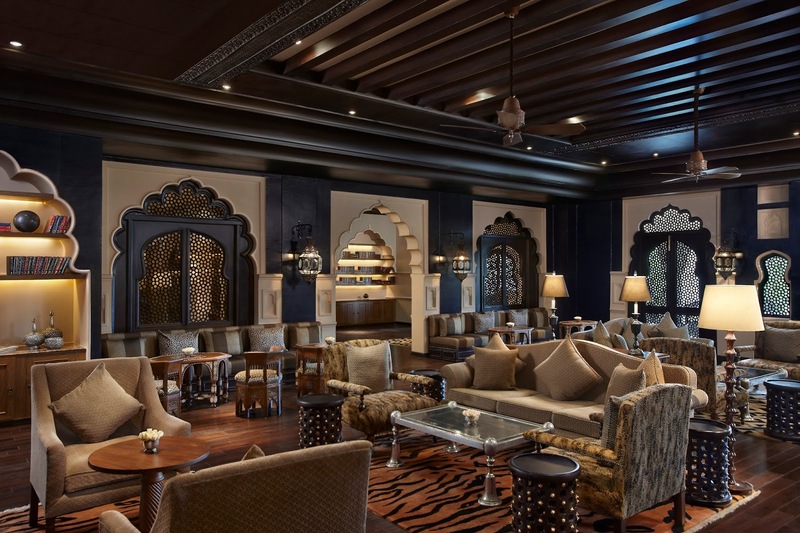 Along with offering panoramic views of Jaipur, the place serves authentic Rajasthani food that’s delicious, to say the least. Standing on the edge of the Aravalli Hills, Nahargarh was a strategically important fort for the Rajputs. It offers a stunning view of the city that you must capture in your camera. 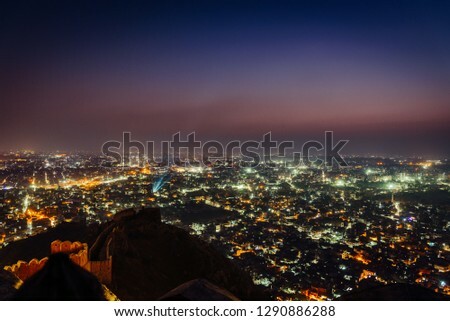 The best time to visit Nahargarh Fort is in the evening, when the temperature dips a little, and the sky is filled with stars. As entry into the fort is closed after 5 pm, you can hangout outside to enjoy cool breeze and spend quiet time. One of the largest circular gardens in Asia, Jawahar Circle Garden is the pride of Jaipur. There are musical fountains, food stalls, rose garden, and jogging tracks here. 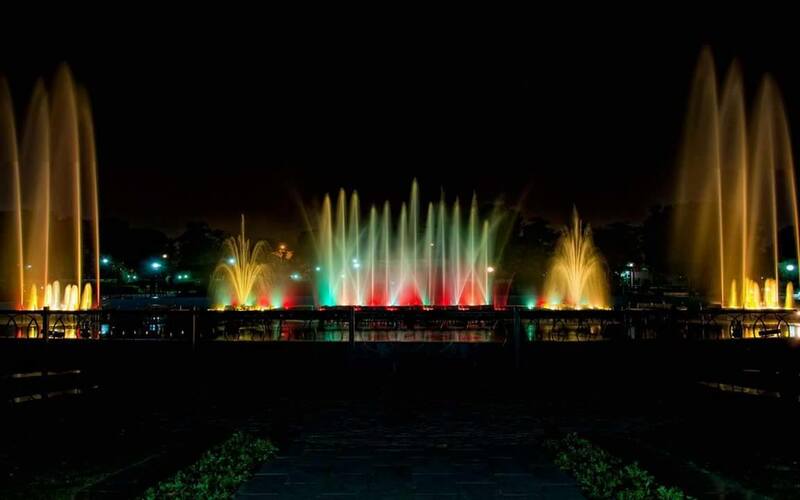 The ambiance gets livelier in evening, when the fountains come to life. 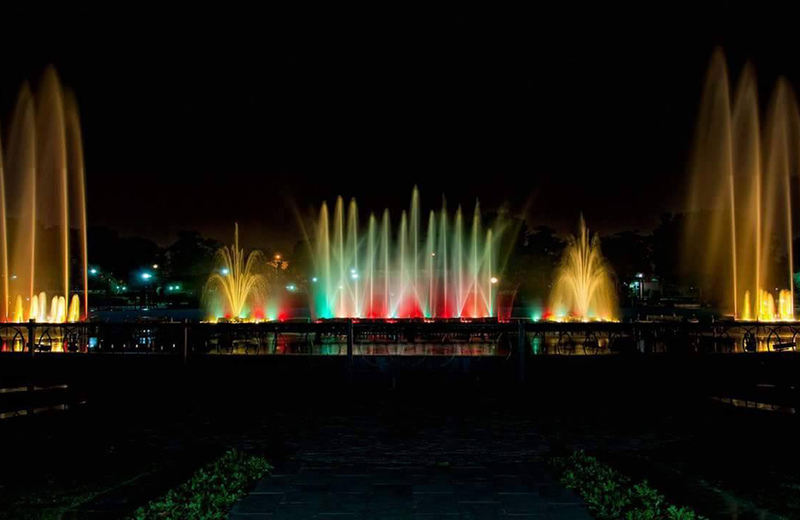 A stroll along Jawahar Circle Garden will be relaxing and fun at the same time. Raj Mandir is one of the largest theatre halls in Asia and also the oldest theatre in the city; it has been screening movies for over four decades. 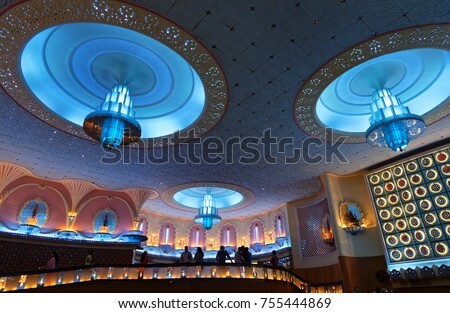 Raj Mandir Cinema is an architectural marvel with intricate carvings inside and outside. 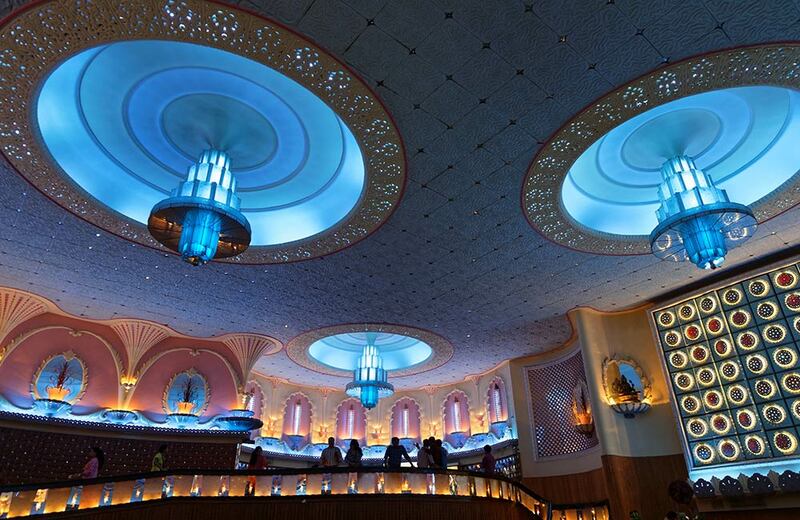 Huge chandeliers in the main hall and exquisite lighting in the lobby make the place look no less than a palace. Watch a night show at Raj Mandir Cinema to get a royal feel. Classy ambiance, plush leather chairs, well-stocked bar, and beautiful outdoor space make Aza a fantastic place to spend good time with friends. The bar has vintage cognacs and rare liquors to make your night out even better. If you have a taste for the finer things in life, don’t miss out on the Aza experience. 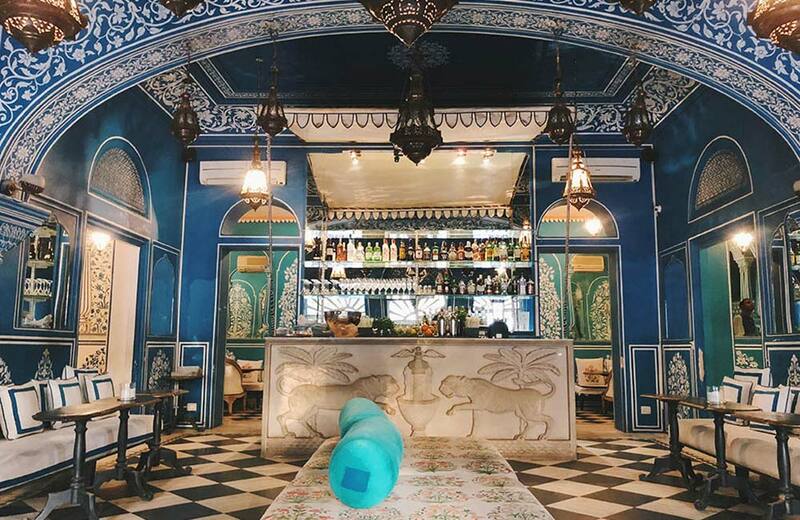 Simple yet beautiful setting, Italian cuisine, and an extensive drinks menu make Bar Palladio a popular hangout place in Jaipur. Located within a luxury hotel, Bar Palladio is designed by a Dutch designer. Mango trees, tented canopies, and candlelit tables add charm to the place. This is a perfect bar to have a drink with your favorite people. A popular attraction in Jaipur, Chokhi Dhani is a resort spread across 10 acres of land. The architecture of the resort is influenced by the Indo-Saracenic style. 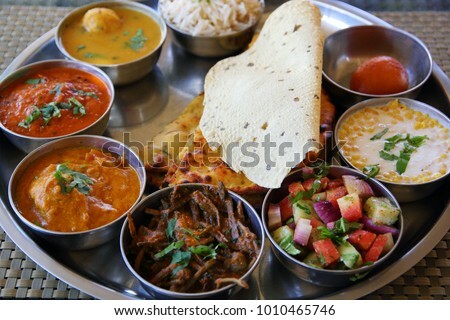 Besides the village theme and decorative wall paintings, it is the food that Chokhi Dhani is famous for. 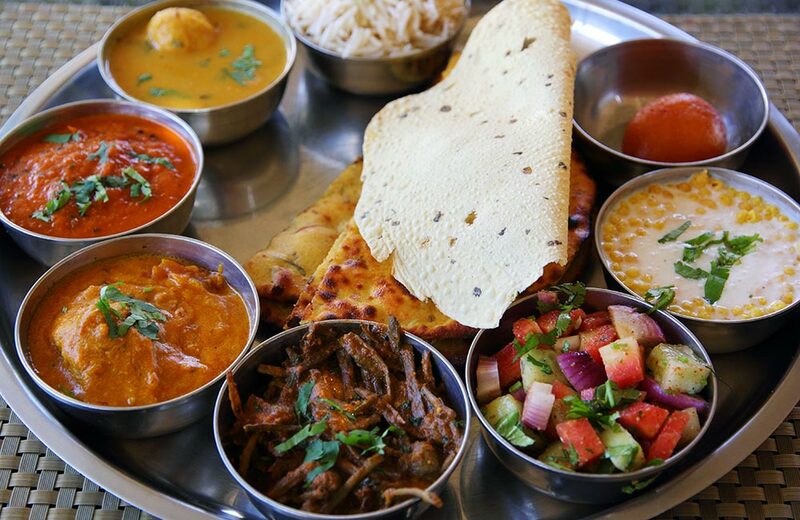 The place serves delicious Rajasthani thali, and you will love the ambiance at night when the entire village is lit up with bright lights, and folk dance performances are going on. Jaipur shed away its image of a quiet city long time back. 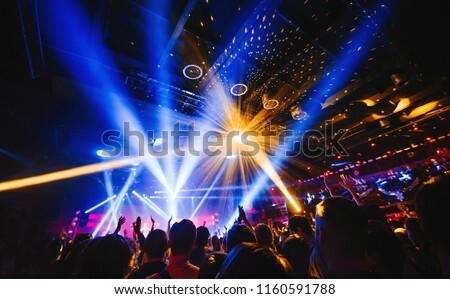 Pubs and nightclubs that are open till late have changed the night scene in Jaipur. 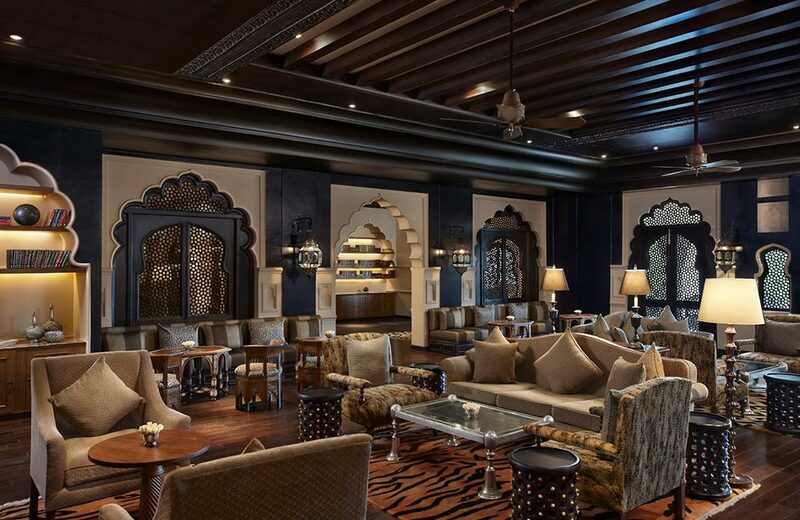 It won’t be wrong to say that a night out in Jaipur is incomplete without partying hard. 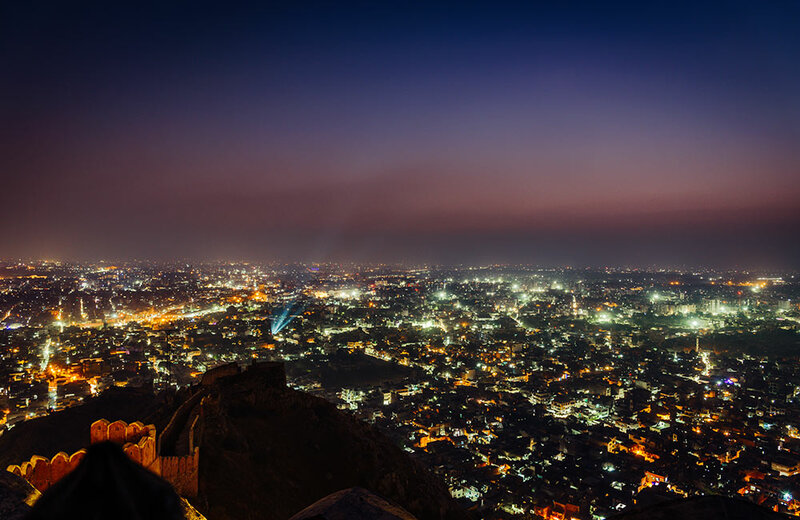 Exploring Jaipur at night is going to be a different experience altogether, one beyond what you imagine. 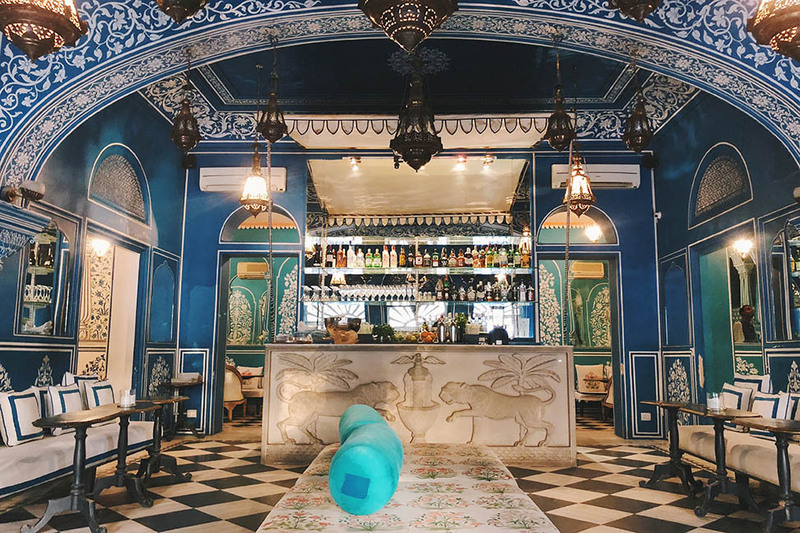 If you are planning a weekend getaway or a longer trip, we recommend that you book a hotel in Jaipur in advance as the destination is always packed with tourists.